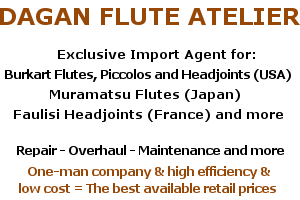 Go here to browse through our extensive collection of available Muramatsu vintage flutes at your leisure. Only the best quality at Dagan Fluitatelier. All our Muramatsu prices are equal to the tax-free burkart factory price (usa) + 5% import- and customs costs to the Netherlands.